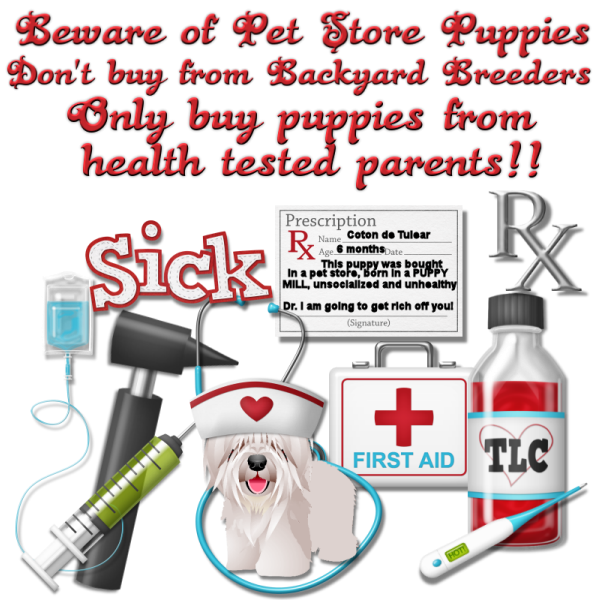 Sadly, we live in a world of instant gratification and no one seems to want to take the time to research a responsible breeder. 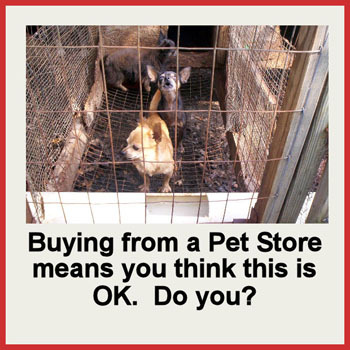 It's so much easier to just buy that cute little puppy in the window, isn't it? Maybe you did talk to a breeder, but you would have to wait a few months for a healthy well-bred Coton de Tulear puppy. Who wants to wait? I want a puppy yesterday! But do you ever even take a minute to think about where the puppy comes from, or what the parents are like? Of course the pet store will say the puppy came from a breeder. 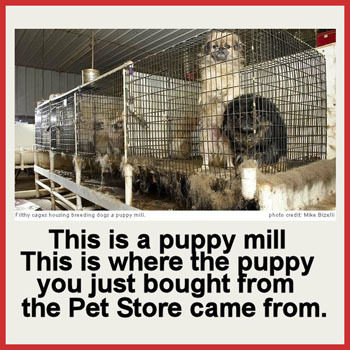 Yes, a breeder in a puppy mill. 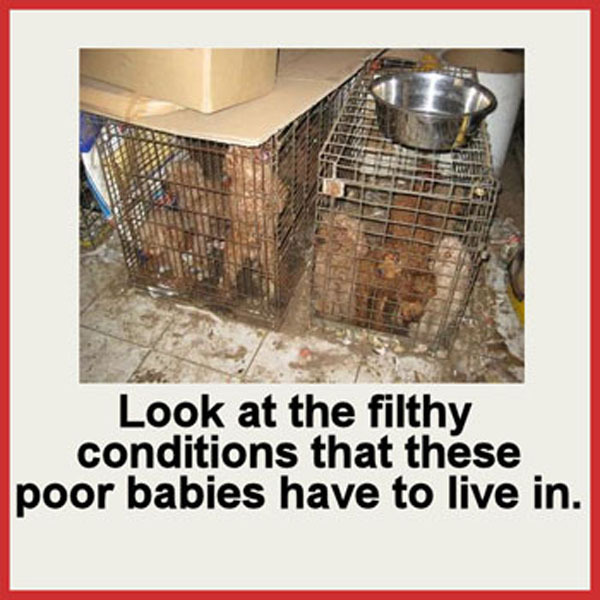 One who raises hundreds of dogs in filthy and unsanitary conditions. One who wouldn't even think about health testing the parents or breeding a healthy puppy. That is way too costly. They really don't care about these animals at all. They are high volume commercial breeders that would rather cut off a dog's foot that is stuck in a wire cage than to cut up the cage. 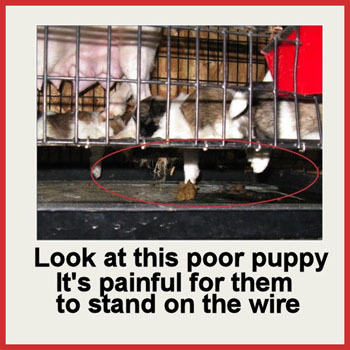 Let's just forget about the inhumane treatment of these poor animals for just a moment. 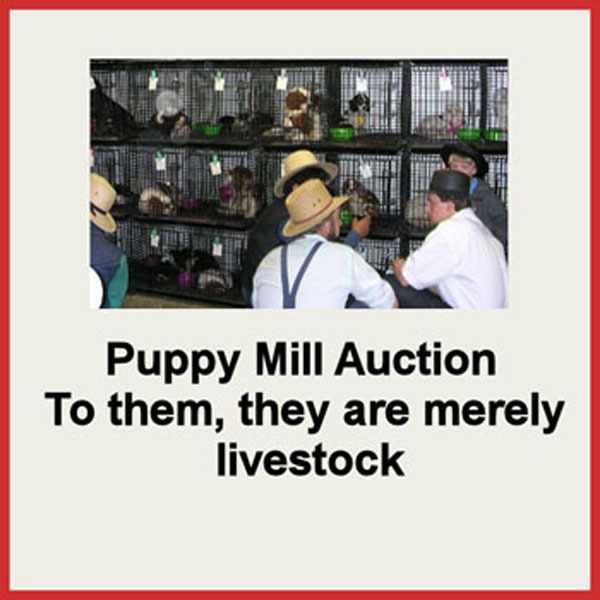 What about all the medical costs that you might incur over the course of the puppy's life? 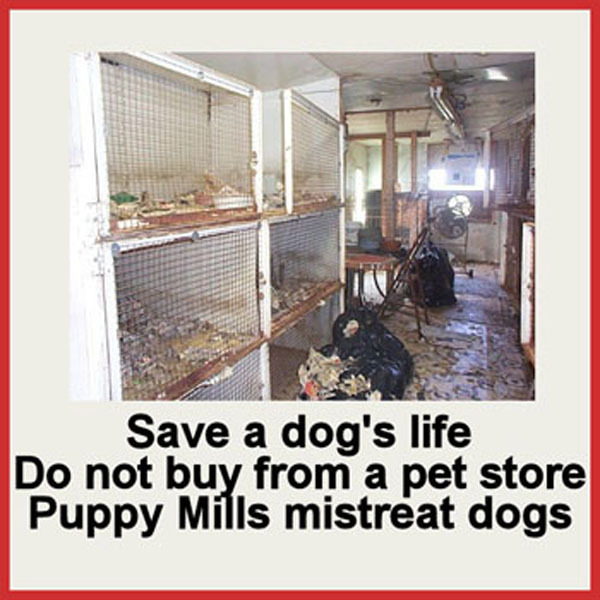 You can get a sick puppy that ends up dying after you've already put a lot of money into it trying to save it. Imagine how devastating that would be for you and your children! 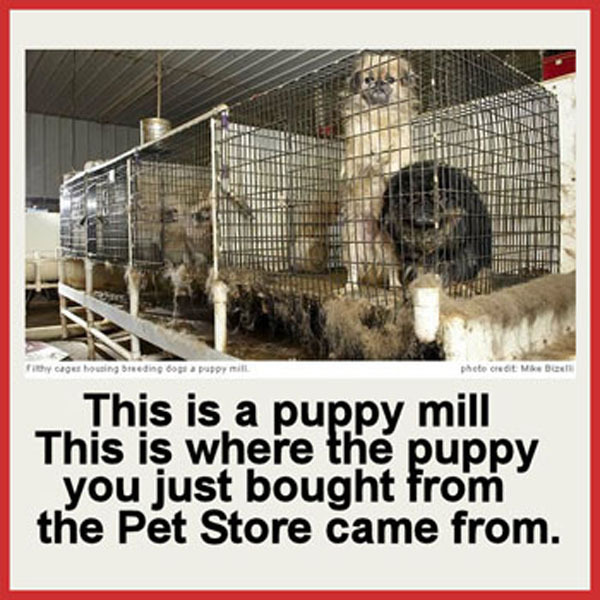 It's hard to believe that people are still buying puppies in pet stores. Didn't they ever watch Oprah or Animal Planet? Maybe they are just too busy keeping up with all the gossip in the social media world? 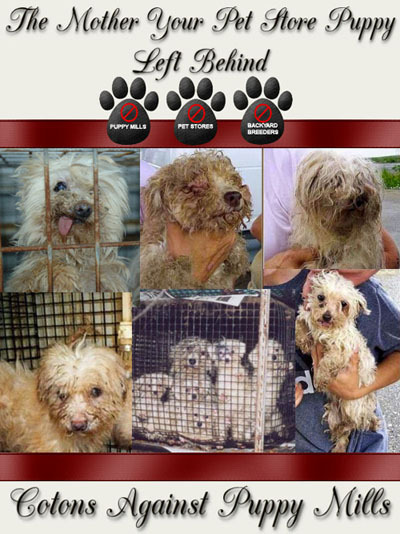 Whatever the case, please take the time now to look at the pictures and watch the videos. 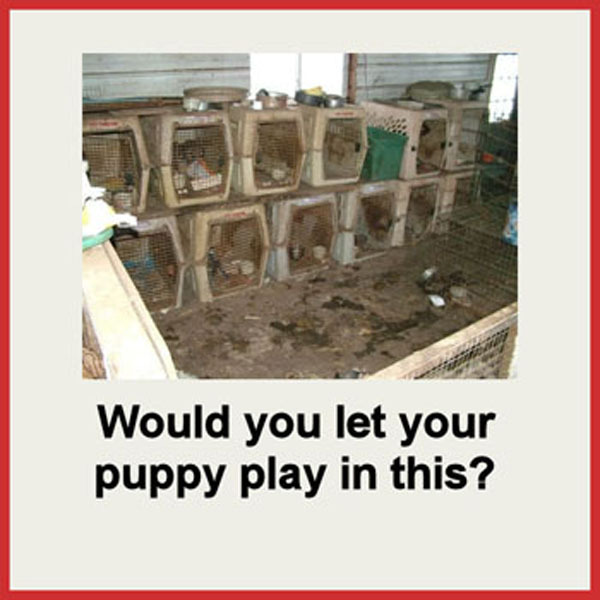 The videos aren't easy to watch but we cannot continue to close our eyes to the horrors of puppy mills. We all need to wake up and stop supporting puppy mills and pet stores if we want to even begin to make a difference. 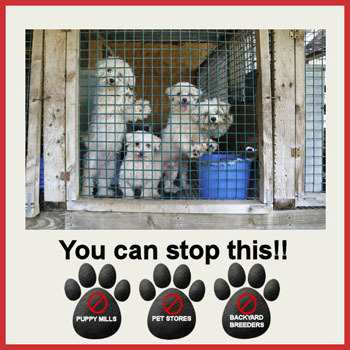 Visit our Responsible Breeders vs Backyard Breeders page for more information on how to choose a responsible Coton de Tulear breeder.